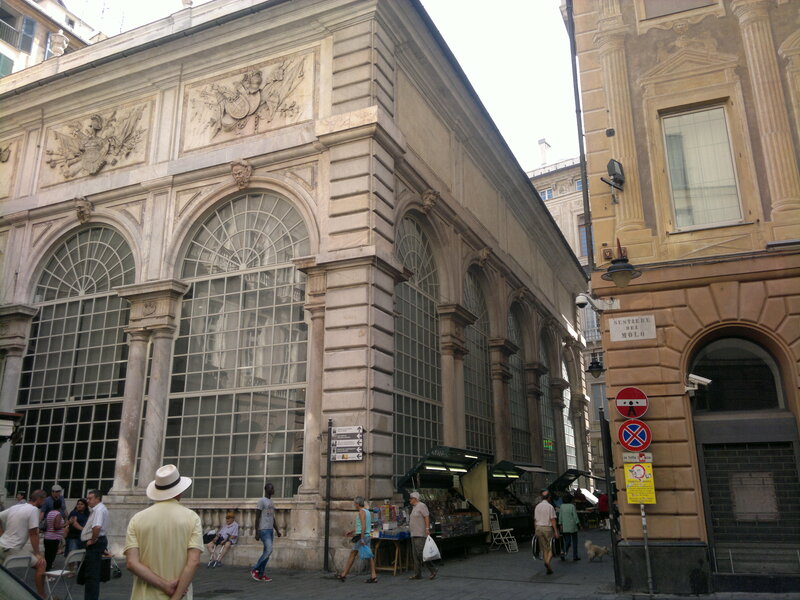 Located just off one of the most important docks in the city, this was once the site of Genoa’s old grain market, and was known as piazza "dei banchi" in the 12th century due to the money-changers' stalls located under the porticoes of the various buildings. The square was destroyed by a terrible fire in 1398 and, it was not until the 16th century that restoration work was completed on the buildings; this work also included the construction of a Loggia dei Mercanti (merchant's loggia) designed by Andrea Ceresola, known as il Vannone, to provide a covered location for bankers and money-changers working in the area. 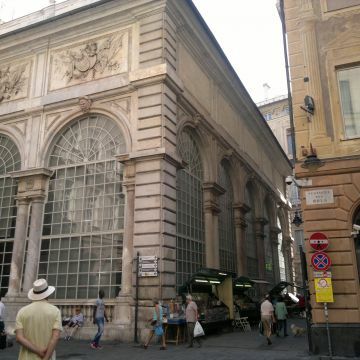 In 1855, it became the site of the first Commodities and Stock Exchange in Italy. To the right of the Loggia, the Church of San Pietro in Banchi is a unique example of a religious building located above commercial establishments, curiously combining the sacred and the profane. The church was built thanks to proceeds from the sale of the retail spaces below, allowing for a compromise to be reached between the will of the Lomellini family – who wanted the area to be used for trade – and the wishes of the people, who wanted to build a church to fulfil a vow.